New research shows that Twitter activity can help predict the result of football matches when combined with betting market prices. The tone of Twitter posts can predict when a team is more likely to win and soccer bets are mispriced, the study by the University of East Anglia (UEA) found. Researchers examined 13.8 million tweets - an average of 5.2 tweets per second - during an English Premier League (EPL) season. These were compared with in-play betting prices available at the same time on Betfair, the world's largest online betting exchange. They found that if the combined tone of tweets in a given second during a match was positive - as measured by a micro-blogging dictionary - then the team was more likely to win than the betting market prices implied. Tweets were particularly informative in the aftermath of goals and red cards, suggesting that social media content is particularly useful in assessing the implications and significance of new information. 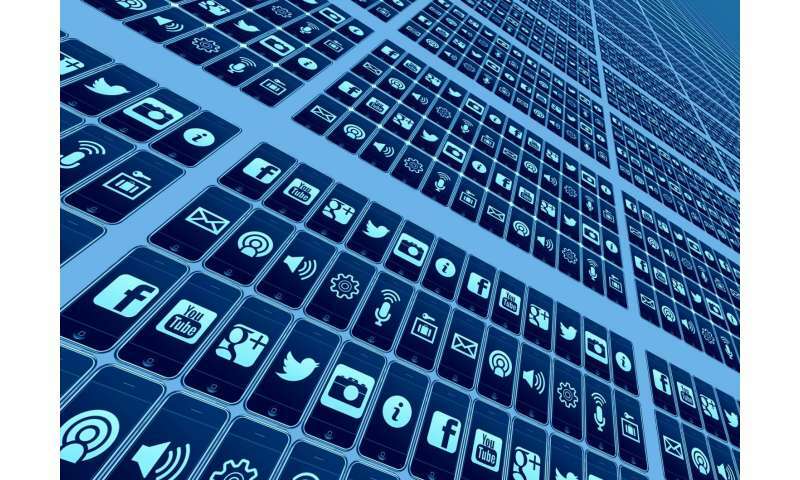 Social media is used as a forecasting tool by a variety of firms and agencies, but the researchers wanted to find out how useful and accurate it is. They measured the aggregate tone of all tweets for each team, in each second of 372 matches that took place during the 2013/14 season. The study, published today in the journal Economic Inquiry, was conducted by Dr Alasdair Brown, of UEA's School of Economics, and colleagues at the Universities of Dundee and Reading, and Birkbeck, University of London. Dr Brown, a senior lecturer in economics, said: "The modern forecaster has a number of tools at their disposal. In particular, prediction markets and social media have proved extremely popular. "We know that prediction markets, such as Betfair, generally lead to accurate forecasts, and outperform individual experts and polls in many settings. However, we wanted to find out if social media has anything to add. Can we combine probability forecasts from prediction markets with social media output to improve our predictions? "We find that Twitter activity predicts match outcomes, after controlling for betting marketprices. Much of the predictive power of social media presents itself just after significant market events, such as goals and red cards, where the tone of Tweets can help in the interpretation of information. "In short, social media activity does not just represent sentiment or misinformation. If sensibly aggregated it can, when combined with a prediction market, help to improve forecast accuracy." The researchers constructed a number of betting strategies to quantify the degree of mispricing that social media predicts. Using conservative estimates of the commission paid to Betfair, and a strategy of betting when Tweets on a team are positive, a bettor could have earned an average return of 2.28 per cent from 903,821 bets. This compares favourably with average returns of -5.41 per cent across the matches studied. Dr Brown said these were significant returns given the size of the Betfair betting market for EPL soccer matches, the very short horizon - less than 90 minutes - of the holding periods for most bets, and the fact that bets usually have negative expected returns. The authors also wanted to examine whether tweets were particularly informative before a goal was scored, in which case this would suggest that social media users break news faster than betting/prediction markets. However, they found no evidence of this. "These results fit in with recent evidence that social media content can be useful as a forecasting tool," said Dr Brown. "For example, there is evidence that social media output, both on Twitter and on financial message boards, predicts future stock returns. "At first glance this may be surprising, as we might think that an individual in possession of valuable information would bet or trade first, and post later. However, if we think that valuable information is dispersed among a number of individuals, then we might understand why social media content leads market prices, as it does in this study and elsewhere." Dr James Reade, sports economist at the University of Reading and a co-author of the study, said: "This is a real 'wisdom of crowds' kind of outcome. It says that if we listen to the right parts of the crowd, we can gain more information and make better predictions. "It's great for football fans, who always want to know what others think of their team. Betting prices, allied with the general mood on Twitter, can give a really accurate picture of where a match is going, in real time." More information: 'Forecasting with Social Media: Evidence from Tweets on Soccer Matches', Alasdair Brown, Dooruj Rambaccussing, J James Reade and Giambattista Rossi, is published in Economic Inquiry on Friday October 13.